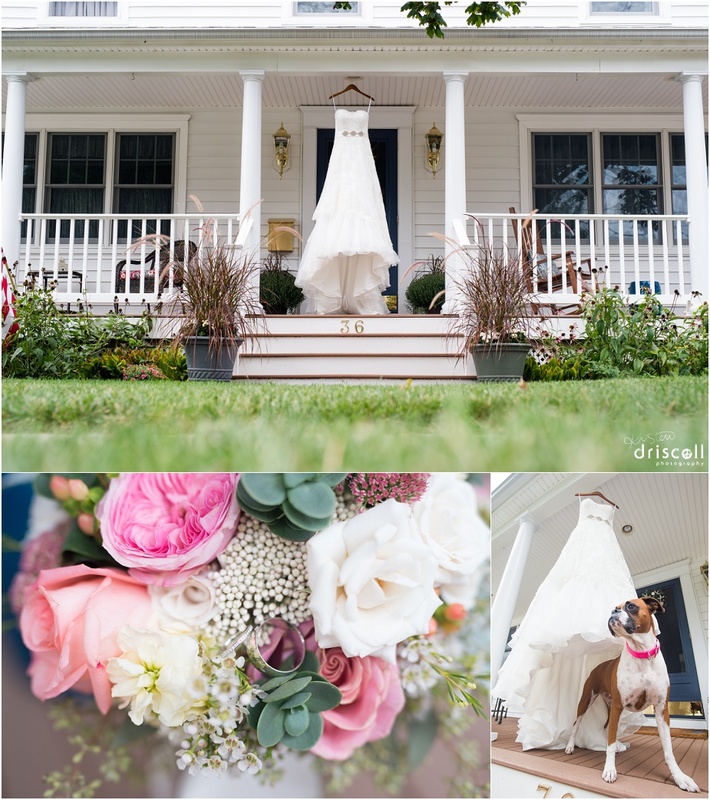 I’m super excited to share these previews from Diane’s and Aarron’s Wedding Day! Diane and I attended Red Bank Catholic High School together and I was thrilled when she asked me to photograph her wedding. 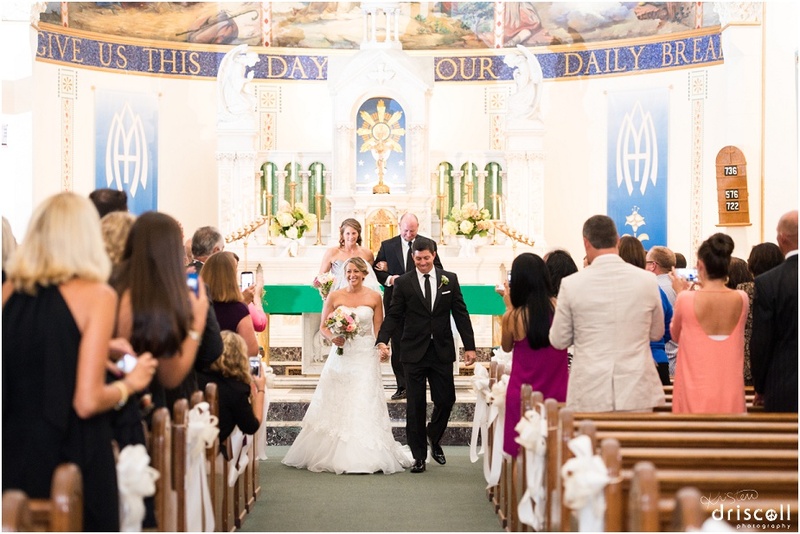 The ceremony took place at Saint James Church (which is next door to RBC), a church where I spent a lot of time during my high school years. Their wedding reception was at The English Manor, one of my favorite wedding venues. 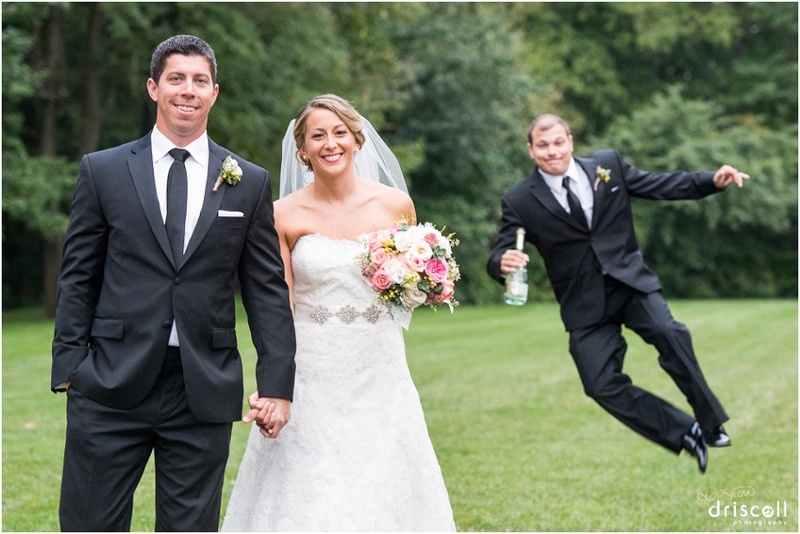 I adored the small rustic touches they added to their day. Here are a few highlights from their day! 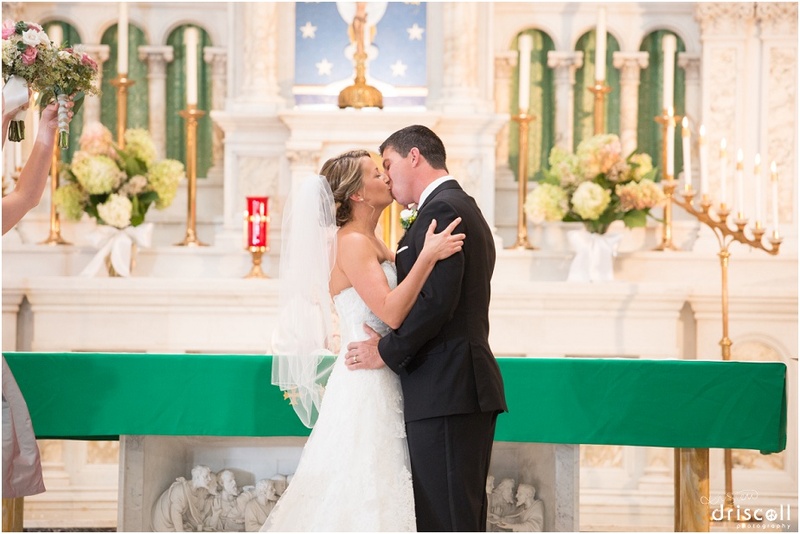 Looking forward to the next coming months, when I plan on blogging more from my 2014 wedding season. Stay tuned! I loved how the family dog guarded Diane’s wedding dress! I always take a shot of the dress before the bride puts it on, and I thought it would be special to photograph it on the porch of the house where Diane grew up in! I loved the bouquets and their wedding bands! 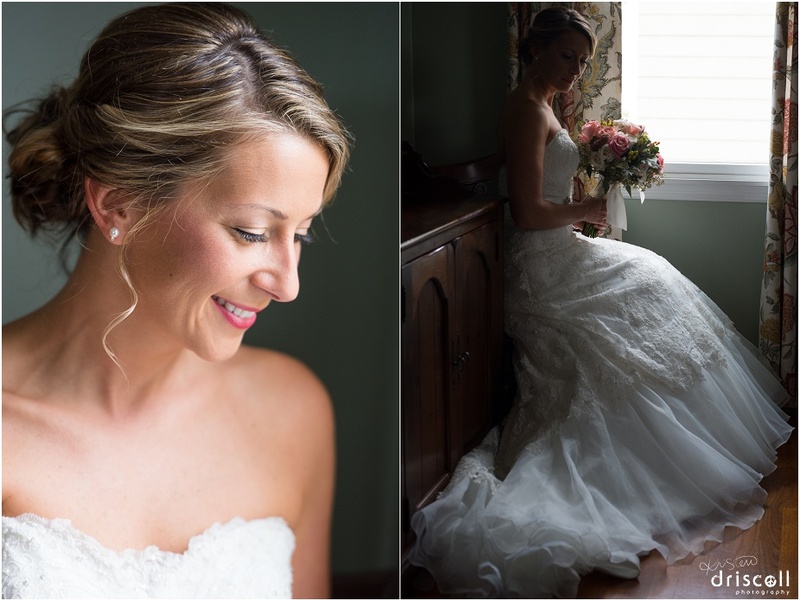 It is so important to me to take a bridal portrait of the bridal just after she gets into her wedding dress. The excitement of seeing herself in her dress is flowing and it is a very special part in the day. Diane was stunning! I also love the detail in her lace gown. 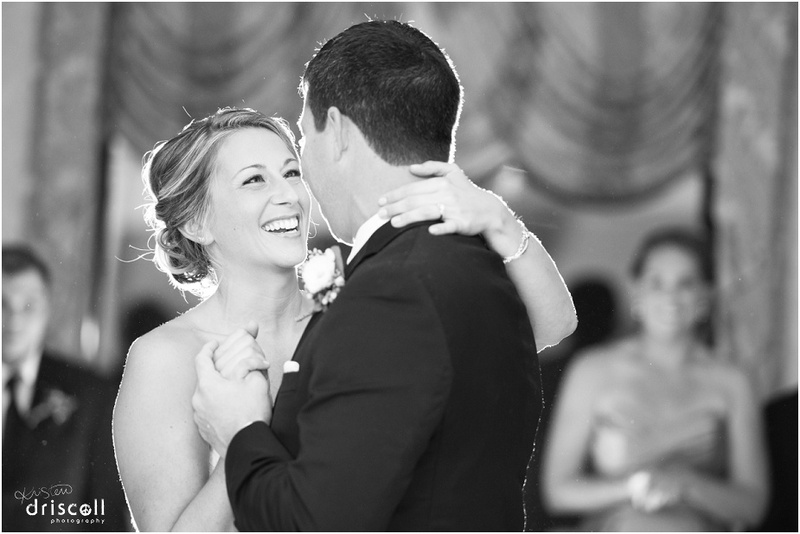 I work with each bride and groom to ensure we will have ample time for portraits throughout the day. Diane and Aarron had a church ceremony ceremony with time between the ceremony and reception for portraits, so they did not do a “First Look”. Since it was important to spend the time between the ceremony and reception for bride and groom portraits, we took photos of Diane with her immediate family and Bridal party before the ceremony. 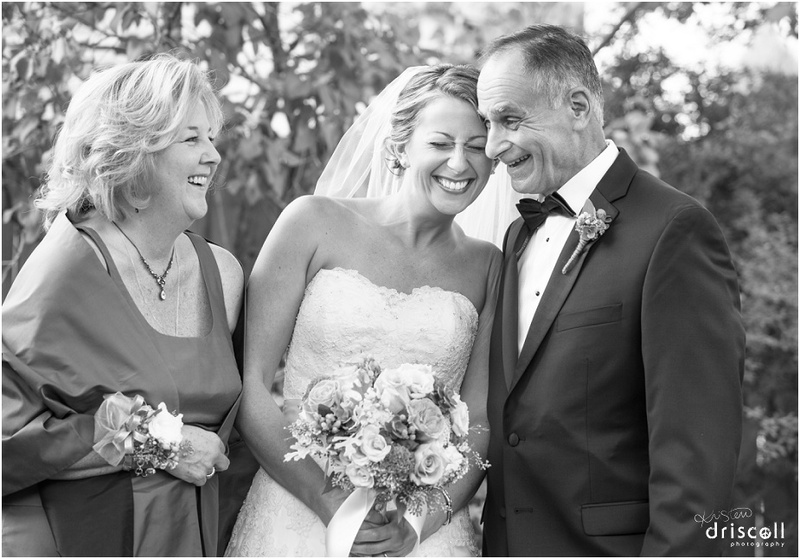 I love this candid of the bride and her parents. I loved the relationship Diane has with her Mom and Dad. It was a joy to watch throughout the day. Below: after photographing the bridesmaids, I quickly grabbed a side angle shot of the bouquets. They were so gorgeous! Before we left for the ceremony, we photographed Diane and each Bridesmaid on the cute porch swing. I loved the connection Diane had with each of her girls! This is one of my favorite photos. 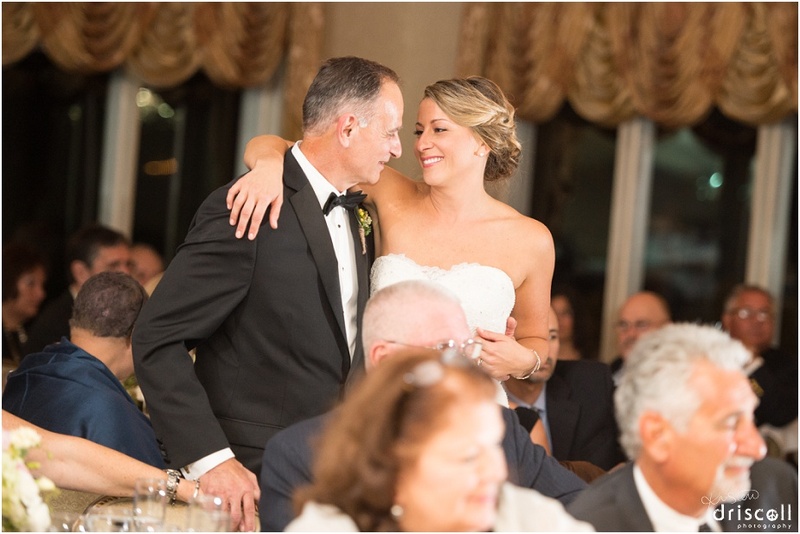 I think it is very special when a father walks his daughter down the aisle. 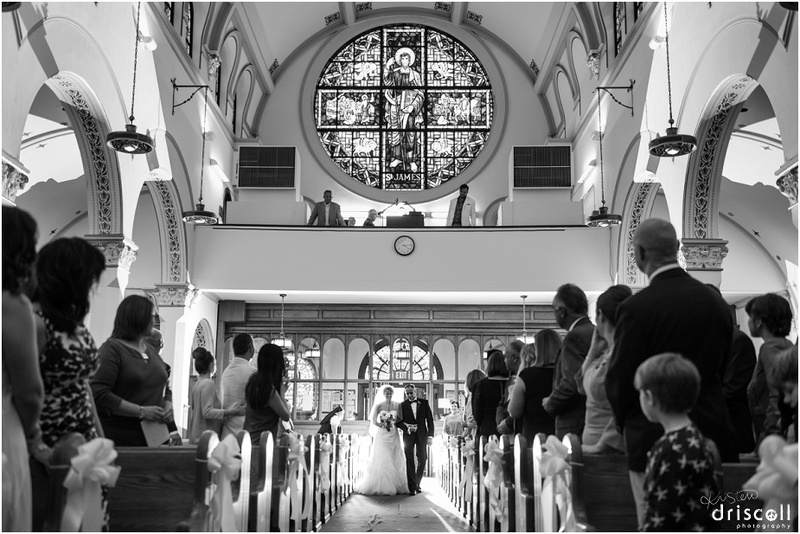 I love the beautiful stained glass and the guests watching their entrance into Saint James Church as the ceremony began. Husband and Wife! We took more portraits at The English Manor – they have such beautiful greenery and gardens! I love the bond between Diane and her Dad. I noticed this moment, while Aarron was dancing with his Mom. So beautiful! Thank you to the courteous staff at The English Manor! You are so wonderful to not only the Bride & Groom and their guests, but also to the vendors such as the photographer and band! Thank you for that! Stay tuned for more images of Diane and Aarron’s Wedding including their gorgeous rustic details! To stay updated, feel free to like Kristen Driscoll Photography on Facebook!